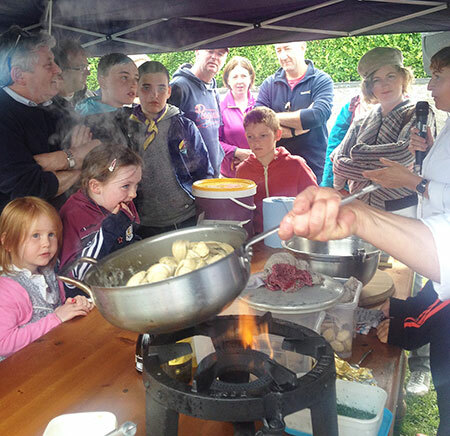 Cuan Beo returns to Cruinniu na mBad 2018 with an eclectic line-up of speakers and local chefs presenting over two days on the 11th and 12th of August in Kinvara, Co. Galway. 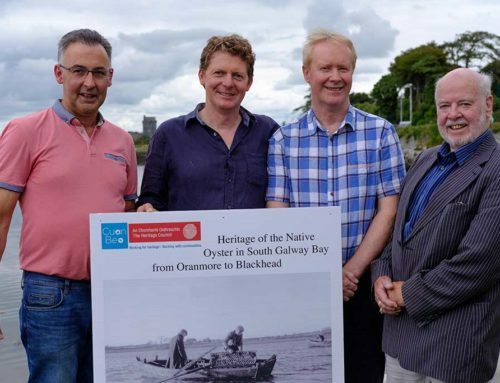 An excellent line of speakers will present on the Cuan Beo Main Stage across a number of topic areas including sustainability, seafood, native oyster restoration, heritage, water quality, sewage treatment, plastics pollution and other topics for Cruinniu na mBad 2018. 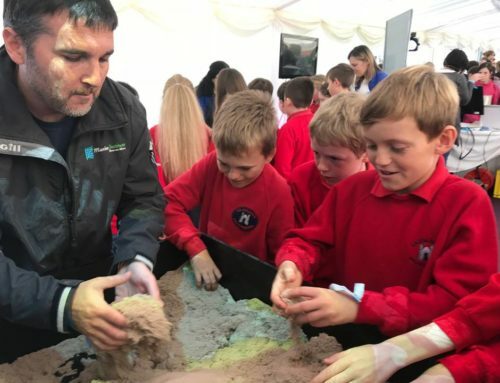 The theme for the 2018 event is ‘Linking the land with the sea – A holistic approach to creating a sustainable future for Galway Bay’. The speaker line-up over the two days includes Michael O’Meara, Oonagh O’Dwyer, Rob Walsh, Prof. Noel Wilkins, John Bhaba Jeic O’Conghaile, Rachel Cave and Ward & Burke Engineers. 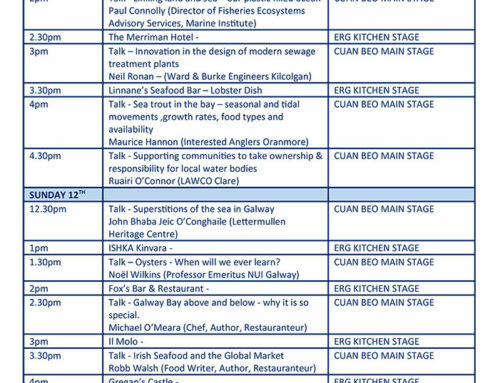 In tandem with this, chefs from local restaurants in Kinvara and the surrounding area of the South Galway and North Clare catchment will provide Seafood cooking demonstrations of their signature dishes over the two days at the European Region of Gastronomy Kitchen Stage. Sample dishes will be distributed to the audience. 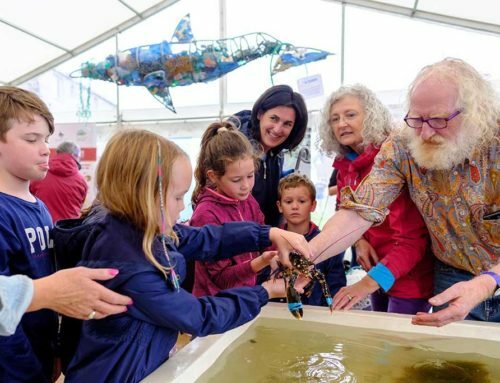 The Cuan Beo marquee will also house an aquarium and exhibits from local community organisations working towards sustainable development of the marine resources in Galway Bay. 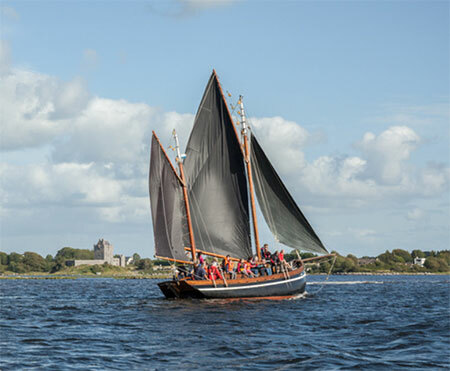 Cruinniu na mBad 2018 will run Friday 10th to Sun 12th August in Kinvara. Activities will kick off on the Cuan Beo Main Stage at 12.30pm on Saturday and Sunday.